We had a lovely time today at Glenny Woods organised by our local Children’s Centre. Glenny Woods is a wonderful woodland centre owned by the Scouts Movement. They have an indoor room with a veranda for when it is wet, an area for lighting fires with bench seating, adventure playground equipment and facilities for making dens. However, even if your nearest wood doesn’t have these added facilities there are lots of simple fun things that you can do with children. Try not to rush children on to looking at the next thing. They may want to spend half an hour looking at a clump of moss or sliding down a muddy bank. If you really want your children to appreciate and explore nature then allow lots of time and move at their pace (however frustrating this might be). 1. Give children a piece of cardboard with double sided sticky tape on and get them to make a hat collecting natural things. This could be free choice or maybe have a colour theme. You could ask children to create a pattern eg. large and small things or find specific items to make their hat. 2. Put double sided sticky tape around the top of your child’s wellies and ask them to collect items of interest and stick them to their wellies. 3. Take magnifiers or bug jars and look for creatures. Take photographs so that you can identify them when you get home. 4. 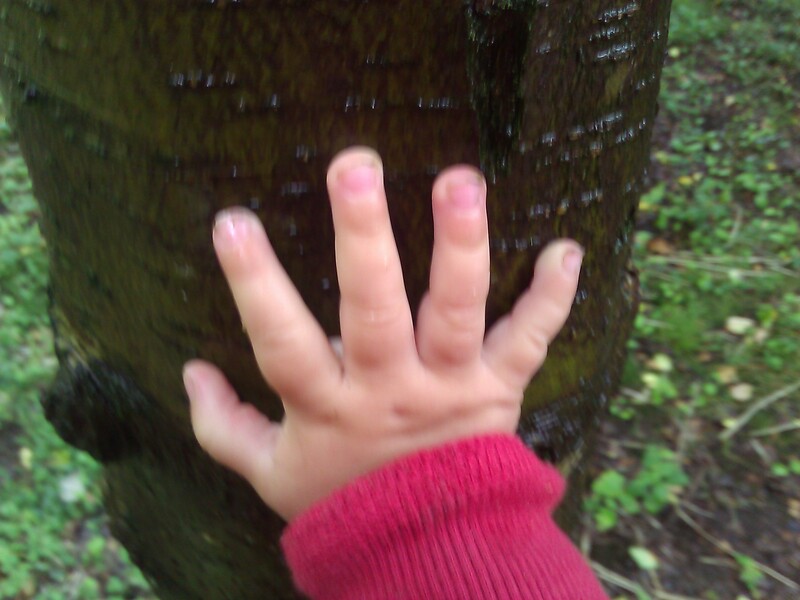 Young children will enjoy exploring the textures of things, moss, long grass, tree trunks, mud. 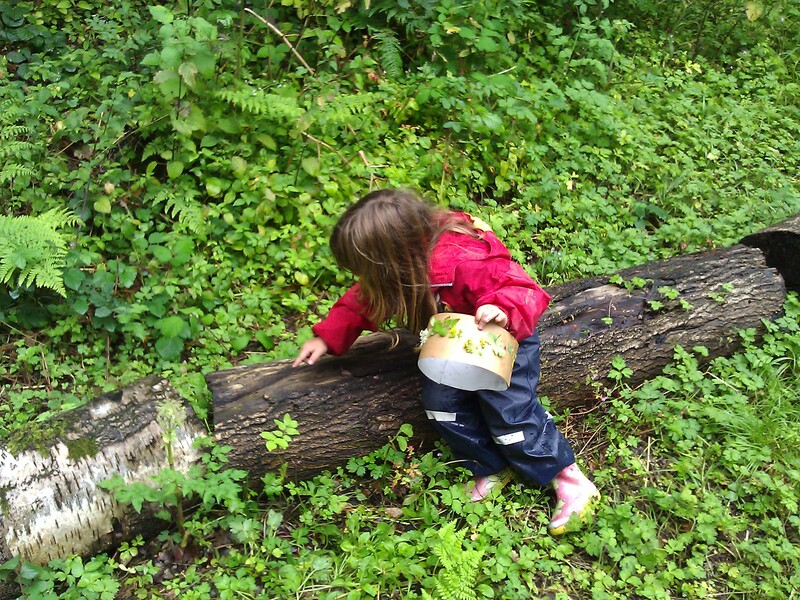 Give children a textural treasure hunt – find things that are soft, smooth, hard, spiky, slimy, cold, warm, rough etc. Make a feely box containing some of the textured things or use a blindfold and ask children to describe what they are touching. 5. Give children a piece of string and ask them to find and attach the following items: something natural, something manmade, something colourful, something heavy and something with an interesting shape. Hang a line of string between 2 trees and hang the completed pieces from it to make a natural work of art. 6. 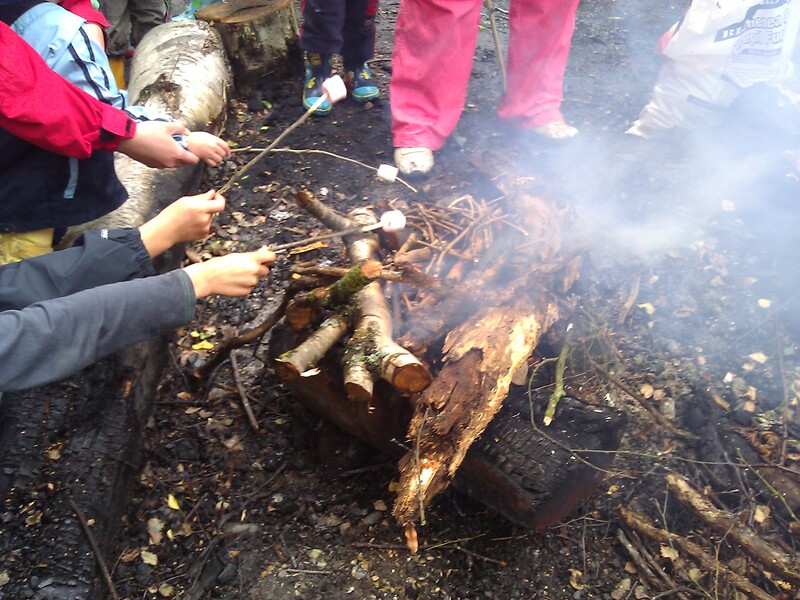 Build a fire, toast marshmallows on whittled sticks or bake potatoes in the bottom of the fire. 8. Play in the mud. 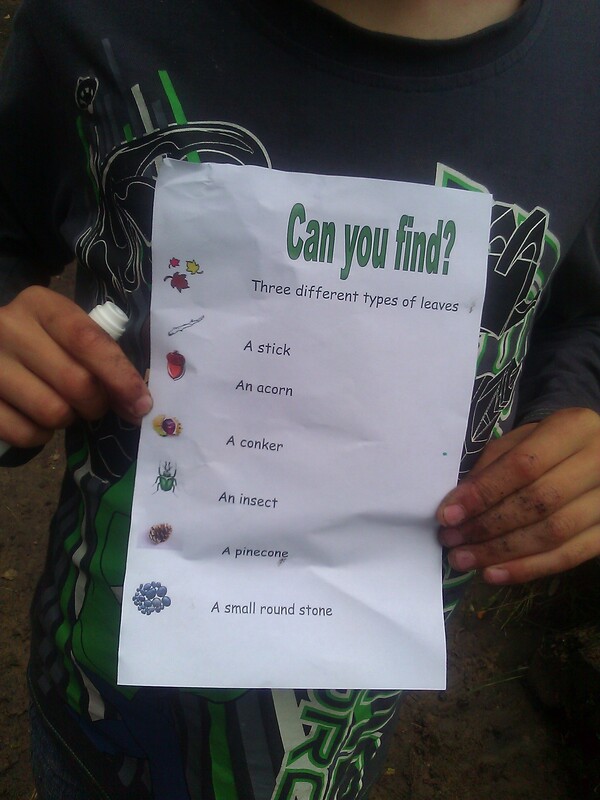 Take tools and to see what you might find or stamp and feel the texture of wet gooey mud. 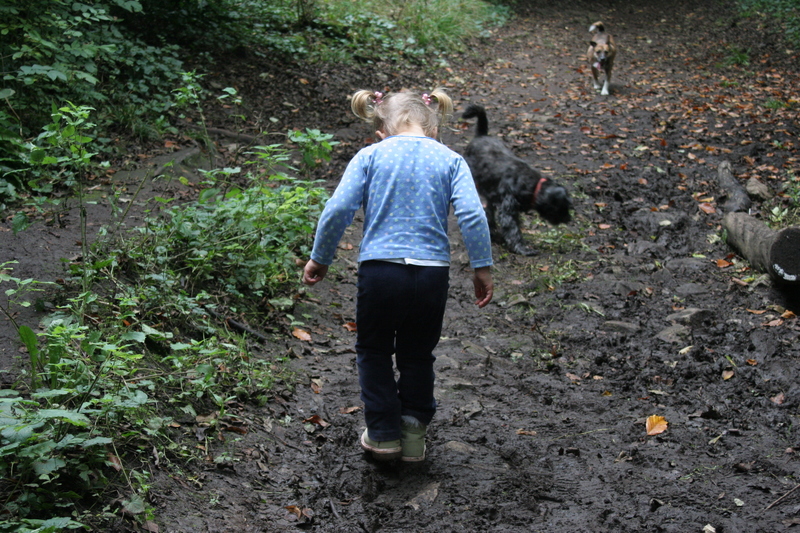 Find a stick and draw or write in the wet mud, or take large sheets of paper and use mud to paint with – use fingers or sticks to apply the mud. 9. Collect natural materials to make a picture or sculpture . Make a frame from sticks or stones and ask the children to make a picture inside it using what they have collected. 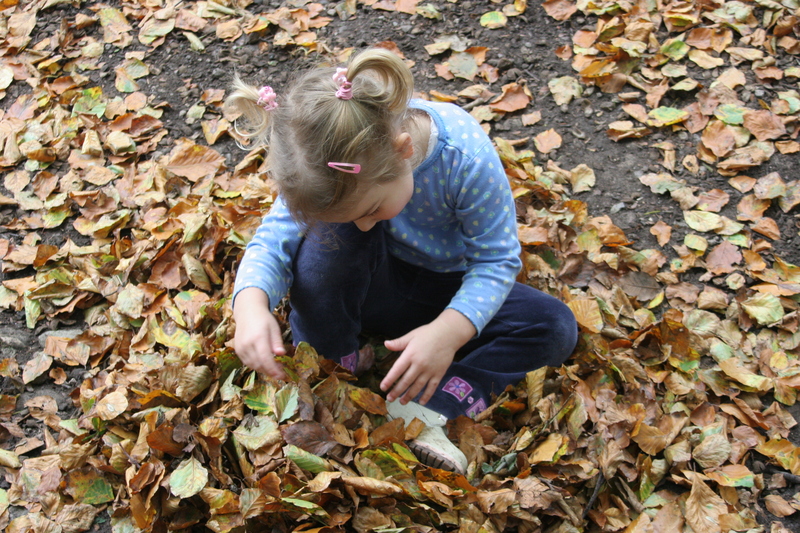 For the youngest children let them arrange leaves into a nest or sticks or stones into a pattern. 10. Build a den. 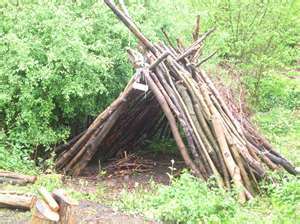 Use sticks and build a den in the style of Eeyore’s house. I love your list of ten. Each an adventure in their own right! I might have to try the sticky hats one with mine, that is a great idea! My kids are forever building camp fires too, then they come home from the farm stinking of firelighters and deny they have had a fire or made any mess out in the woods. Do they think parents were born yesterday? and thank you for linking up with me, nearly forgot my manners in my enthusiasm for your post! Superb children play of the woods.. I love your ideas especially the hat for collecting bits on. Whenever we go to play in the mud the rain doesn’t play fair lol. 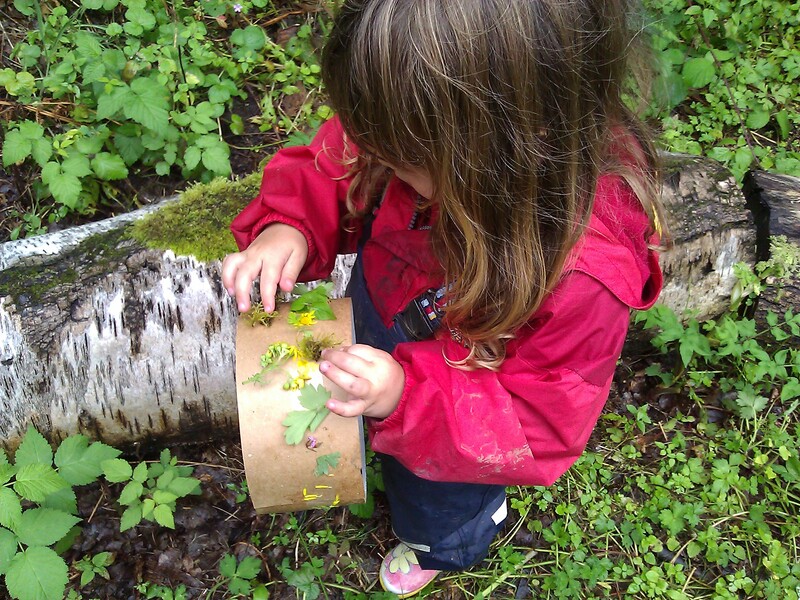 Pingback: 9 Woodland Activities For Kids That Rock!